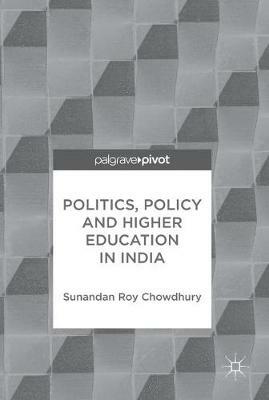 Considering the evolution of Indian higher education policy from British colonial rule to modern day India, this pivot examines key policy issues in fields as diverse as language, nationalism and economic development. Focusing on India's relationship with the world at large and the state of class conflict in India's universities, it assesses the country's politics as they have impacted education policy, as well as the state of higher education and of universities in India. The book contends that India's elite and power-stream have developed a higher education policy that has successfully catered to the creation and reproduction of a tiny economic elite which excludes the largest sections of higher education institutions and society. This skewed policy and its concomitant development has led to India remaining a pygmy nation when it comes to living standards or innovation in natural and social sciences. Through cutting edge interdisciplinary research, this pivot offers an insightful addition to the debate on higher education thinking, in India and further afield, across the realms of politics, policy and philosophy.